Emma Refvem is a science teacher at Riverside High School in Durham, NC. She has participated in several of my energy workshops so I was thrilled to read about a wind energy-related project she proposed on DonorsChoose.org on my Facebook page. Her $671 project was fully funded within 5 days! Emma proposed that her students read “The Boy Who Harnessed The Wind“, a book about a young man from Malawi who learned about and then constructed a windmill made of scrap materials for his village. Her students will then construct wind turbines from everyday materials such as cereal boxes, index cards, and paper clips. And then they will share their wind turbine designs via Skype with with students from Durham’s sister city of Arusha in Tanzania. I am sharing Emma’s story here in hopes of inspiring other teachers to propose hands-on projects at DonorsChoose.org! Available on multiple platforms (ipad/iphone, ibook, kindle) for $4.99, it provides a comprehensive overview of energy in the United States. Please share how you have used this resource with your students! 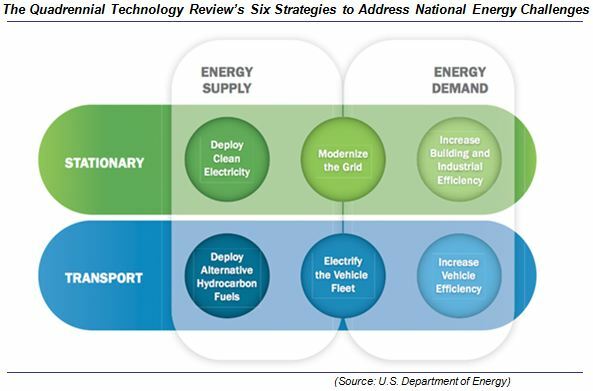 In fall of 2011, the Department of Energy released its Quadrennial Technology Review which had the goal of establishing “a framework for thinking clearly about a necessary transformation of the Nation’s energy system.” The report outlines six strategies for addressing the nation’s energy security, economic competitiveness and environmental impacts of energy: increase vehicle efficiency, electrify the vehicle fleet, deploy alternative hydrocarbon fuels, increase building and industrial efficiency, modernize the grid, and deploy clean electricity. A 3- minute video summarizing the six strategies outlined in the QTR is available. The report provides and up-to-date overview of “today’s energy landscape” and energy challenges and describes and prioritizes the technology adoption and innovation that will support each strategy. 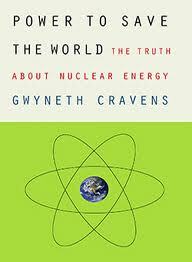 Earlier this year I learned about a book published in 2007 by Gwyneth Cravens titled, The Power to Save the World: The Truth about Nuclear Energy. Interestingly, I was already reading this book and discussing it with friends in the days leading up to the March 11th Japan earthquake. The knowledge I gained reading this book enabled me to react to this disaster from a more informed perspective. In this book, Ms. Cravens describes her journey within the US as she traces the path of uranium from its origins to its processing into fuel pellets, and ultimately to its finale as nuclear waste. Dr. Richard (Rip) Anderson, an expert in nuclear risk assessment, leads her through this enlightening journey. On March 15th, days after the Japan Nuclear Disaster, Ms. Cravens appeared on NPR’s Talk of the Nation as a panelist for a program titled Assessing The Future Of Nuclear Power In The U.S.
Assessing The Future Of Nuclear Power In The U.S.